A warm inviting functional home with very comfortable large beds, clean high thread count linens, and plush towels are provided. A full kitchen with plenty of modern gadgets to suit cooking needs. A safe quiet neighborhood. This space has a nice outdoor area to relax or even dine outdoors. Within 5.4 miles from downtown High Point. 4.4 miles from High Point University. Perfect for a business trip, visiting family, or just wanting to check out what the triad has to offer. Kitchen contains range, oven, overhead microwave, side by side refrigerator/freezer with ice maker, dishwasher, and dining room table. Lauren did an Amazing job with everything from stylish room settings to everything we needed to prepare and cook meals after a long day at work. We needed nothing and she made our stay like we never left home. Thank you Lauren for such a Great experience, we will Definitely be back in the fall. 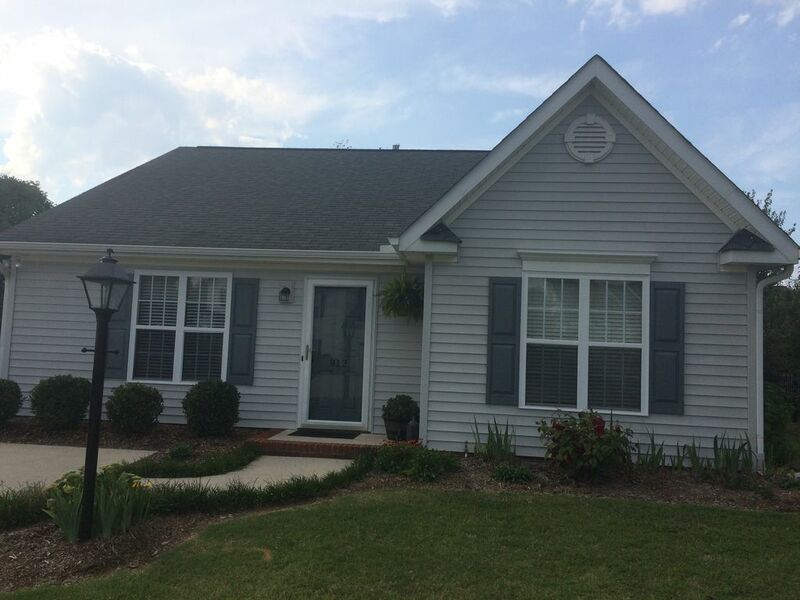 Great, Affordable Home in the Triad Area! Give this Property a Look! Tom D.Where do you live? We really enjoyed our stay at Lauren's "Cozy and Comfortable" home. The home lives up to its name! Here are a few adjectives to describe this VRBO: clean, well equipped, quiet, nicely decorated, comfortable and cozy! This home is in a very nice, safe neighborhood. The owner has thought of all the little details that make a renter's stay wonderful (i.e. plenty of dishes, pots, pans, hair dryers, bottled water, K-cups, towels, and the list goes on!) When we visit family in the Triad area again this is where we plan on staying. Thank you Lauren for your great hospitality. We enjoyed our stay. The rental was very clean, well maintained and nicely decorated in a quiet, safe neighborhood. All the comforts of home! The owner was very helpful, always quick to reply and easy to work with. We would definitely stay again! Our family of five was very comfortable in this tastefully decorated home. We visited relatives in the area and were quite happy to have the house to spend our evenings. The owner has thought of everything you will need. The beds are comfortable and there are plenty of linens. Restaurants and shopping are close by and the neighborhood is peaceful and safe. We will definitely stay here again when we are in the area. Thank you so much as your group was a true pleasure and Id to have you all stay again. A Most Excellent Home and Hostess! This home was the cleanest VRBO we have experienced, and this stay was further enhanced by the high quality of fixtures and comfortable furnishings. Everything you could need was provided. The close proximity to downtown and the country club was quite convenient. On a hot weekend the air conditioning worked wonderfully. The hostess was very pleasant in communications and provided details in advance of arrival to ensure an uncomplicated stay. It is obvious that she cares about her guests and her home. Highly recommended and would absolutely stay again! Thank you!